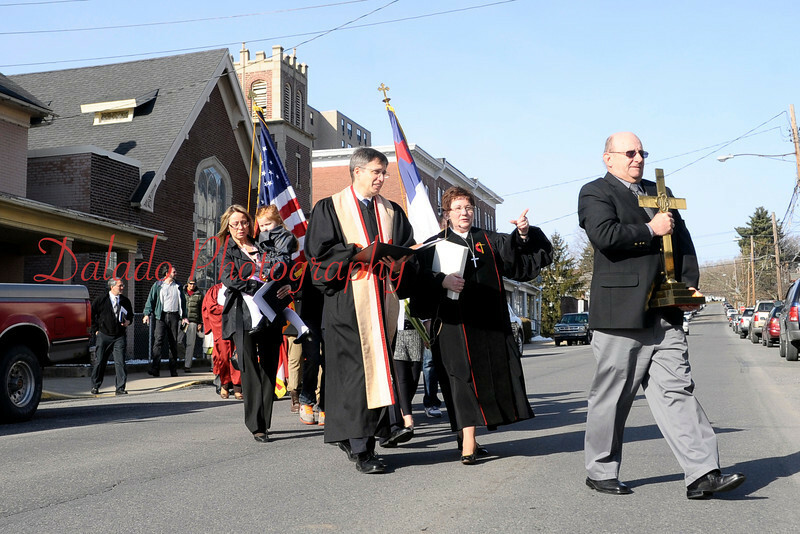 The congregation of St. John’s United Methodist Church moved worship service to their parish hall in Coal Township on Palm Sunday. Pictured are Rev. Gary Nicholson, northwest district superintendent, left, Rev. Karyn Fisher, pastor; and Ron "Peanuts" Marcheski.